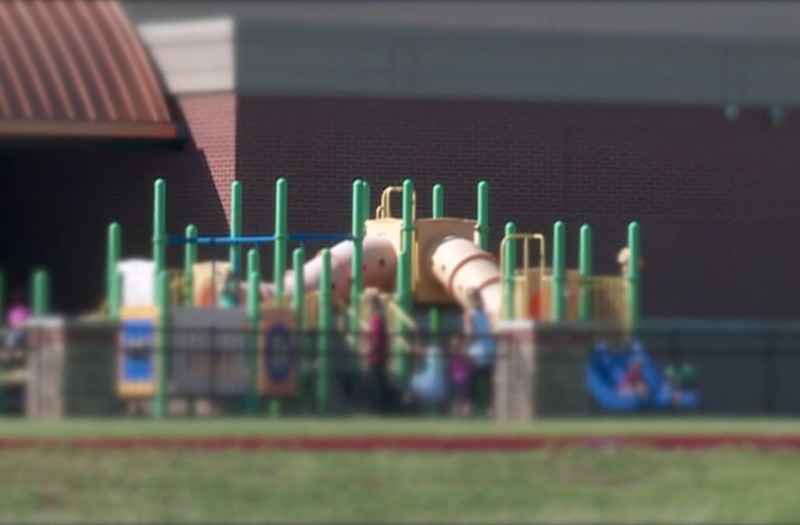 EDMOND, Okla. (KFOR) - An Edmond elementary school is taking extra steps after a young student walked away from the school this week. Officials said the child is a pre-K student at Westfield Elementary, located near N. Pennsylvania and N.W. 178th St.
Each day, thousands of cars zip past Westfield Elementary on the four-lane roadway out front. On Monday, a vigorous game of tag on the pre-K playground distracted the teachers on duty and a young student got loose. District officials confirmed the incident occurred in an area on the north end of the building called the "Tot Lot." There were two teachers on the playground with seven kids when the young student unlatched the gate and took off undetected. But, the escape has a happy ending because of a good Samaritan who was driving by. An Oklahoma elementary school says they are taking extra steps after a young student walked away from the school this week. After the toddler crossed a field adjacent to the school and was about to step into traffic on Pennsylvania Ave., the stranger scooped up the young student and drove him back to school. News 4 found the good Samaritan on Facebook. She didn't want to be on camera but told News 4 "the baby is safe and sound now." An Edmond Public Schools spokesperson tells KFOR the playground gate used to be locked but the school had removed the lock. Since this incident, district officials said the padlock has been re-installed on the gate. They've also fashioned a sign that reads: "Anytime children are on the Tot Lot, one adult must be stationed near the exterior gate so no children can get behind their line of sight." The district said administrators at Westfield Elementary have spent the past few days reviewing student monitoring protocols with teachers, teacher assistants and anyone who's going to be watching over the young students.